The research interests of Prof. Wachutka cover the basic physical principles of microstructured components and systems, in particular in the area of electronic components and microsensors and microactuators. He uses physics-based modeling and predictive computer simulation for “virtual prototyping”. The aspects investigated include the robustness and reliability of components and appropriate design optimization. 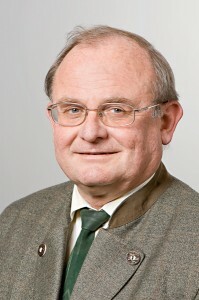 Prof. Wachutka (b. 1952) studied physics at Munich’s Ludwig Maximilian University and did his doctorate in theoretical solid-state physics there in 1985. After that, he joined Siemens’ Research & Development division, where he worked on the computer-aided development of modern high-performance components. From 1990 to 1994, he worked at the Swiss Federal Institute of Technology’s physical electronics laboratory in Zurich. There, he led the modeling and simulation group for micro-mechatronic components and systems. Since 1994, he has held the Chair of Physics of Electrotechnology.